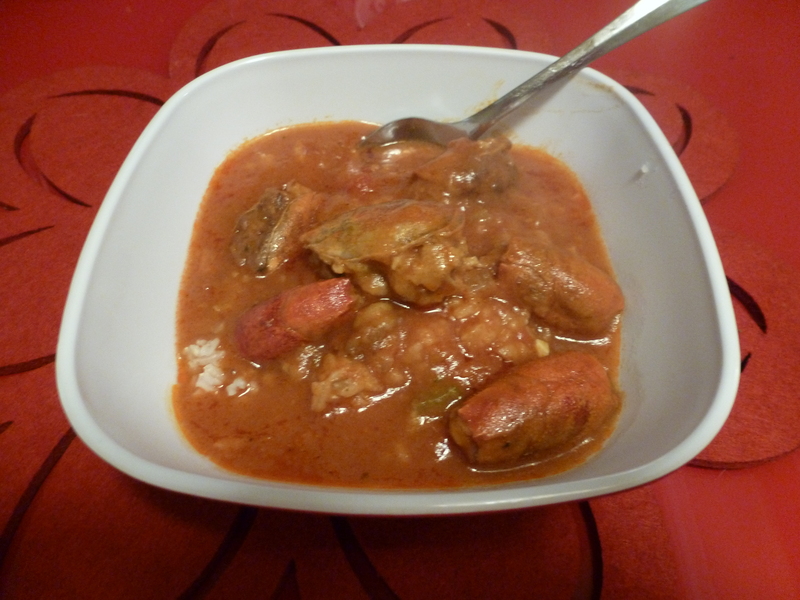 As promised, today I’ll show you how to make a delicious crawfish bisque – just the way MawMaw used to make it. 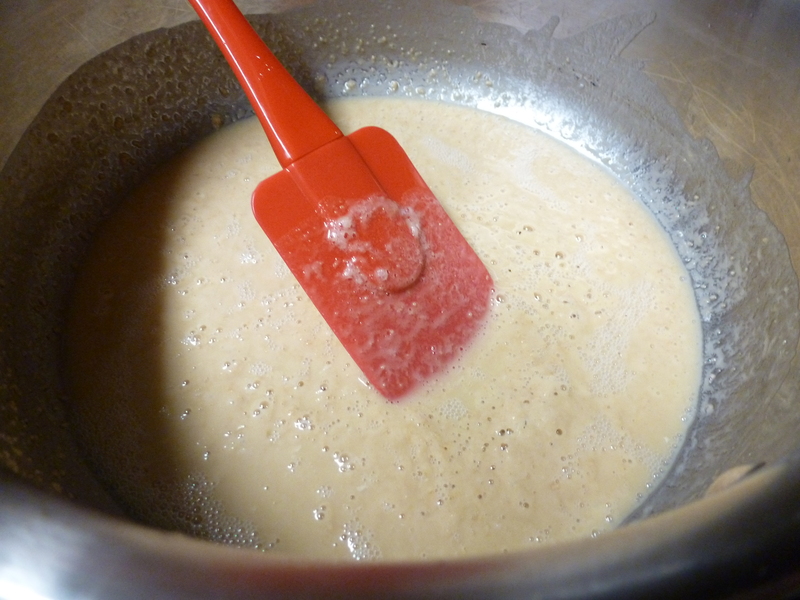 First step – make a dirty-blond roux with the flour and oil. 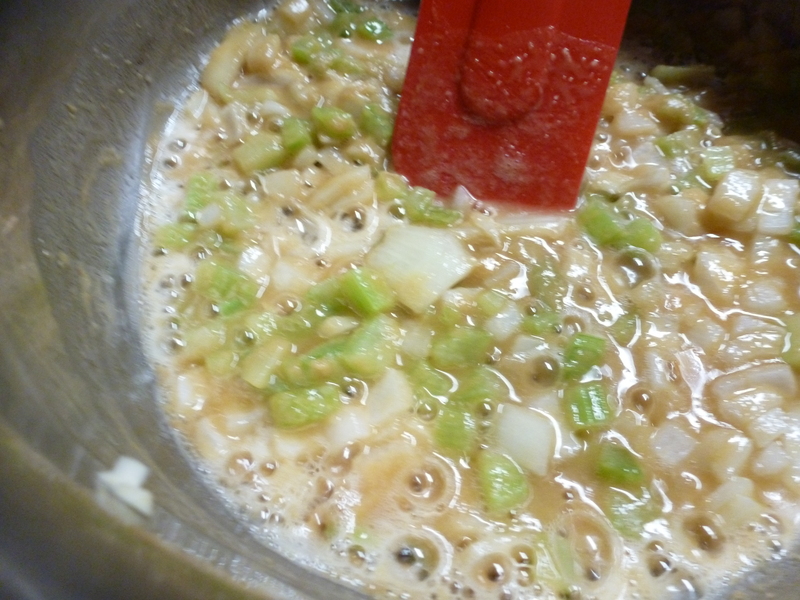 Set aside 1/4 of the chopped celery, onion, and garlic for the crawfish dressing. 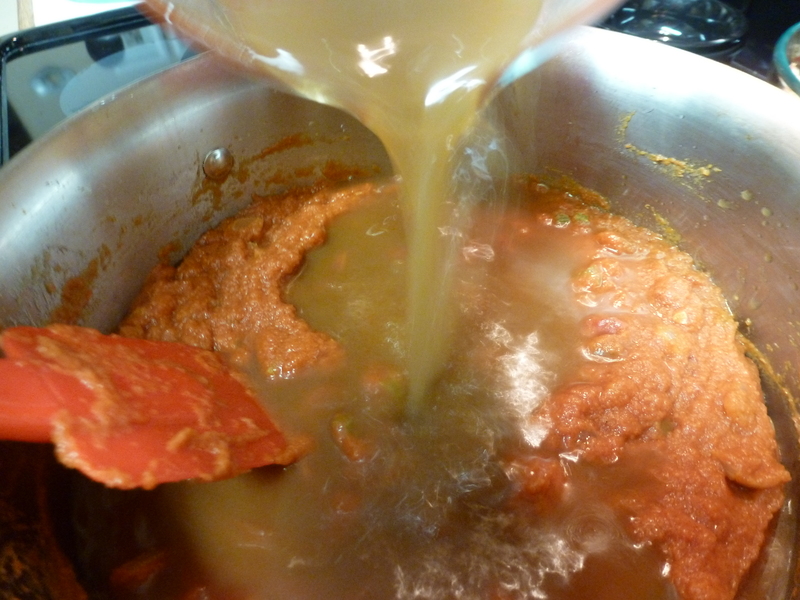 Add the rest to the roux and sauté over a medium heat until soft – about 5 minutes. 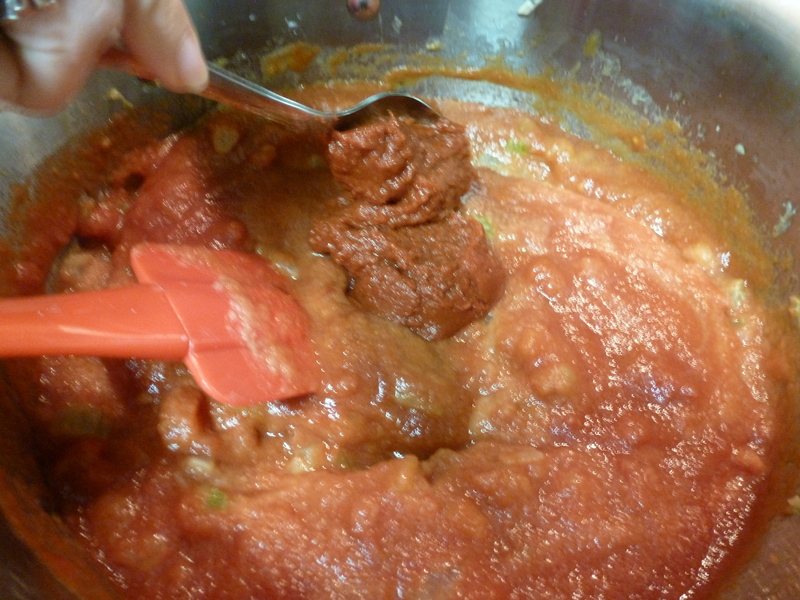 Add the tomatoes, tomato sauce, and tomato paste. Sauté for 10 minutes to give the flavors a chance to blend. Add 4 cups of stock. Cover and simmer over medium-low heat for about an hour (stirring occasionally) while you prepare the crawfish shells. Now it’s time to stuff the shells that we cleaned out yesterday. If you didn’t clean shells, roll the dressing into balls – called boulets (pronounced boo-LAY). Combine the first six ingredients one at a time. Mix until the dressing has the consistency of wet sand. Stuff the shells with the dressing. Spread the flour onto a flat surface and coat the shells and boulets. Heat 1/4 cup butter or vegetable oil over a medium-high heat. Brown the boulets first, then brown the shells. I have browned these in 3 batches. It is important after each batch to scrape out the flour before starting the subsequent batch. It will burn if you leave it in the pan. Add another 1/4 cup butter or oil and brown the next batch. For the 60 shells and 20 boulets, I wound up with 3 batches. Drain on paper towels. Add them to the bisque along with 2 more cups of stock. 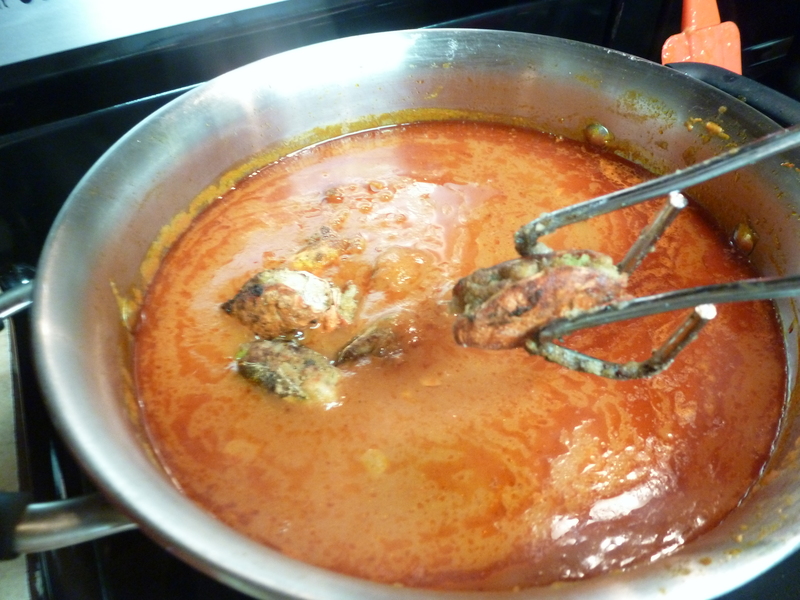 Bring to a boil, then reduce heat to medium-low and simmer for 20-30 minutes. MawMaw must have really loved us to make this dish for us.